At High Performance Packaging, one of our landmark services is offering our clients on-site training on all of our machines. This helps our customers work more efficiently, as it helps them better understand not only how to use the machines but how to troubleshoot them in the event that something goes wrong. This helps our clients save time and money in the long run, since they are able to at least identify problems and weaknesses more easily and without the help of professional technicians. But of course, since we have to teach our clients how to use and operate the machines, our technicians have to have a solid understanding of how the machines work, too. So how do we keep our trainers up to speed on all of our machinery? We develop training material based on what a piece of equipment’s capabilities are, as well as what a business will use it for. We also take into account current skill levels of our technicians or the company we are working with. Next, we develop focused training manuals based on the technical requirements of each person on staff, what types of equipment are used, and what downtime issues may arise with each machine. Then, we develop a Train the Trainer course, designed to create skilled trainers within your organization or company. Finally, we provide a pre-training and post-training test database, which picks random tests and retains answers to tests as well as test scores; this helps you stay up to date on the skill level of your existing employees and helps train new hires as well. Why Not Just Call a Technician? If your machinery is not working properly, you could, of course, just call a professional technician to take care of the problem. Unfortunately, that could mean at least a few days of downtime, plus more for obtaining replacement parts if necessary, then another trip for the technician to fix the machine. Overall, this method takes more time and is more costly than simply having the skills existing within your organization. When your employees know how to operate and troubleshoot the machines they use on a daily basis, they’ll be able to assess problems and find solutions faster than calling a technician to your site. Why waste the time and money waiting for someone else to figure out what’s wrong, when you could teach your employees to do the same thing? It’s a no-brainer. 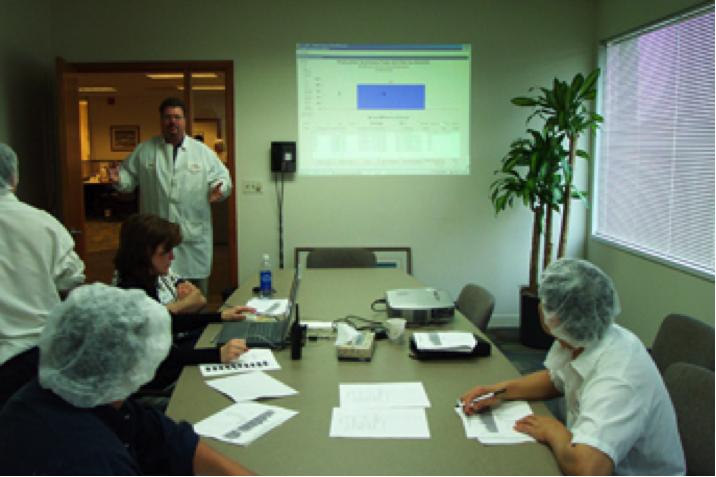 Learn more about our training and T3 programs—contact High Performance Packaging today.